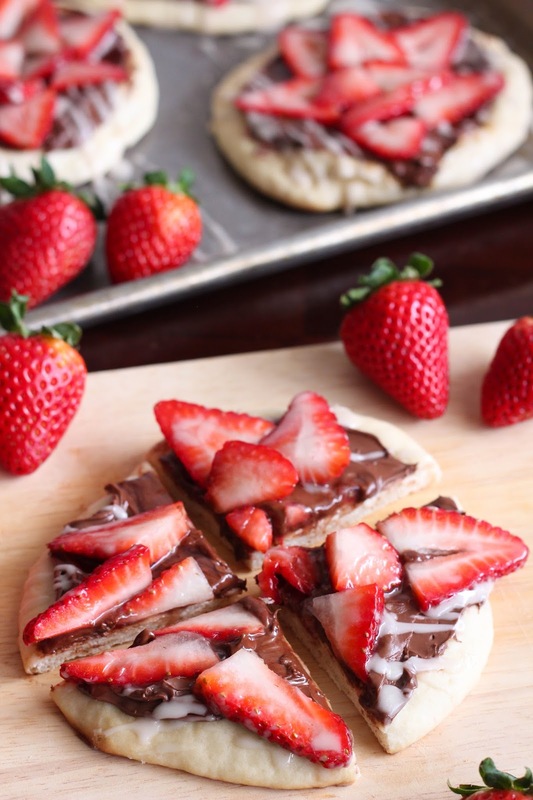 Today, I'm sharing a really simple and totally delicious dessert pizza with you that is perfect for Valentine's Day. I love Valentine's Day. Not because of all the lovey-dovey stuff, but because of all the beautiful red and pink decorations and goodies . . . oh and the chocolate. You can't forget the chocolate! 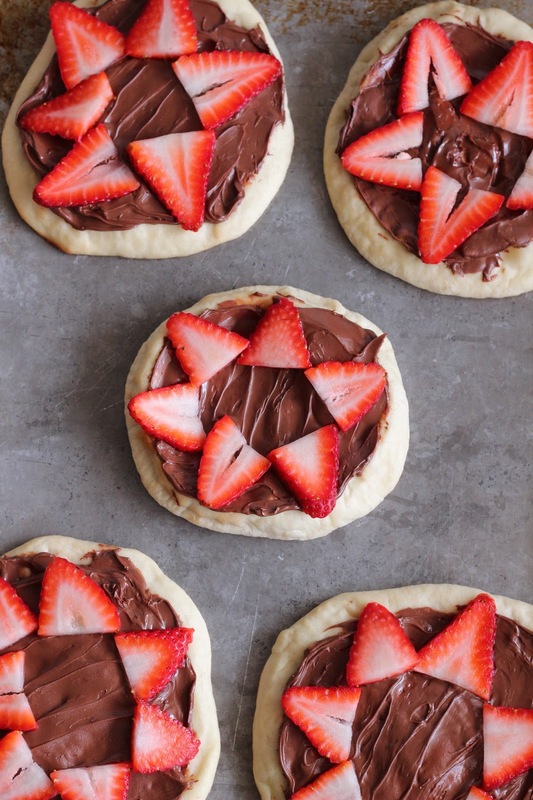 Strawberries and chocolate hazelnut spread are a match made in heaven. I have combined these two ingredients in cupcakes before and now in a dessert pizza. This dessert has just the right amount of sweetness and won't leave you feeling weighed down. 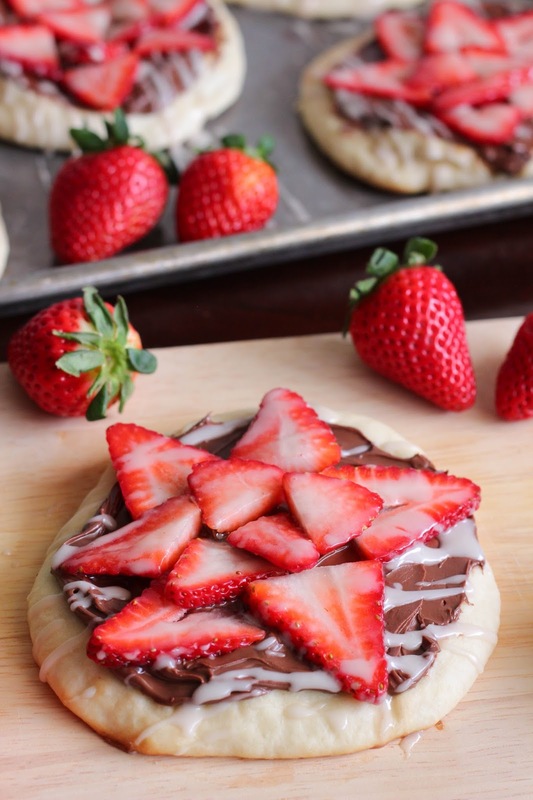 The crust is soft and chewy, the chocolate hazelnut spread is rich and creamy, the strawberries are vibrant and sweet and the vanilla icing adds a final layer of flavor. My Dad (whose birthday happens to be on Valentine's Day) is a big fan of dessert pizzas and he loved this version and I know you will too. First, get all of your ingredients ready. 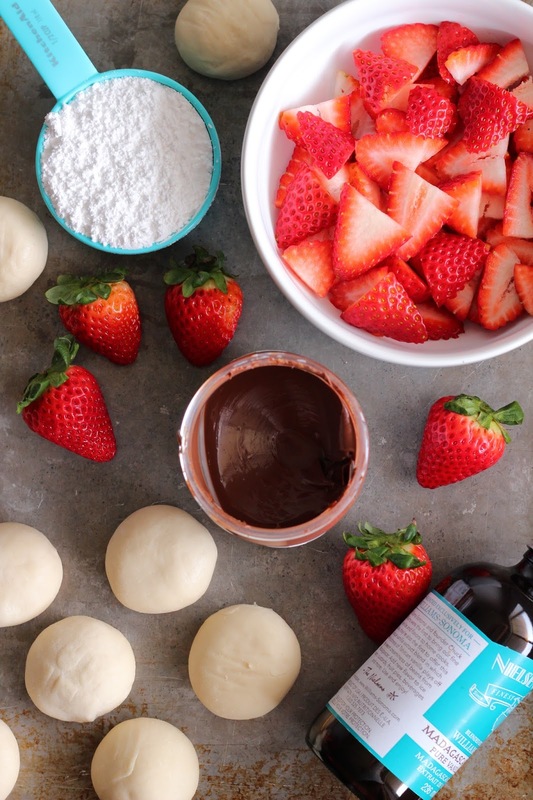 You will need thawed Rhodes Dinner Rolls, chocolate hazelnut spread, sliced strawberries, powdered sugar, vanilla and milk (not pictured). Spray your counter lightly with cooking spray. 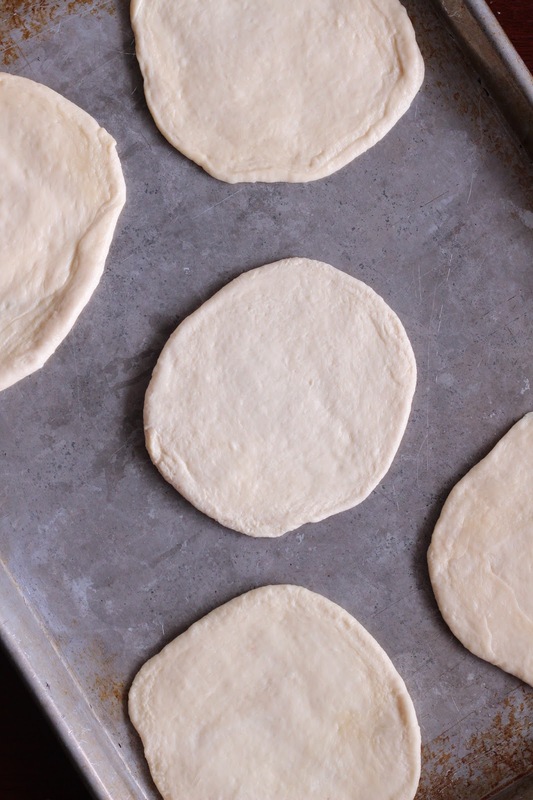 Press two rolls together to form a ball and roll out to roughly a 5-inch circle. Transfer to a greased baking sheet. Poke a few holes on top with a fork to help prevent them from puffing up too much while baking. Bake in preheated oven until lightly golden. Cool completely. 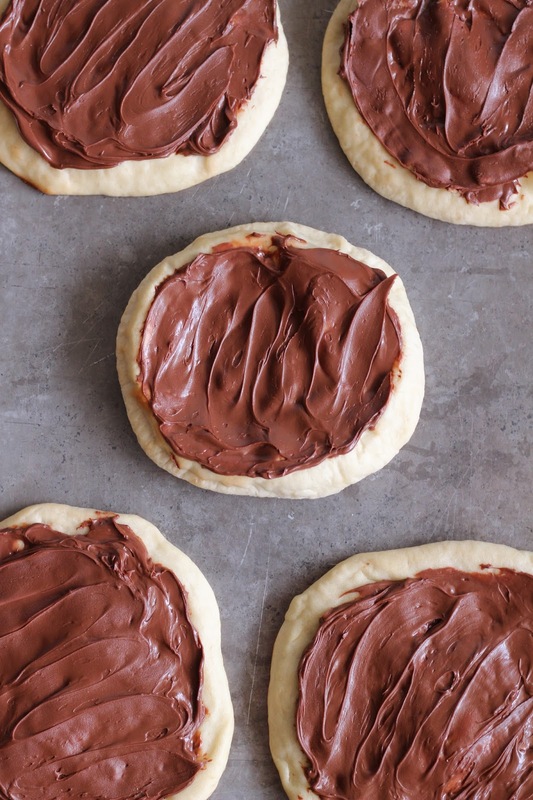 When cool, spread each with a good amount of chocolate hazelnut spread. 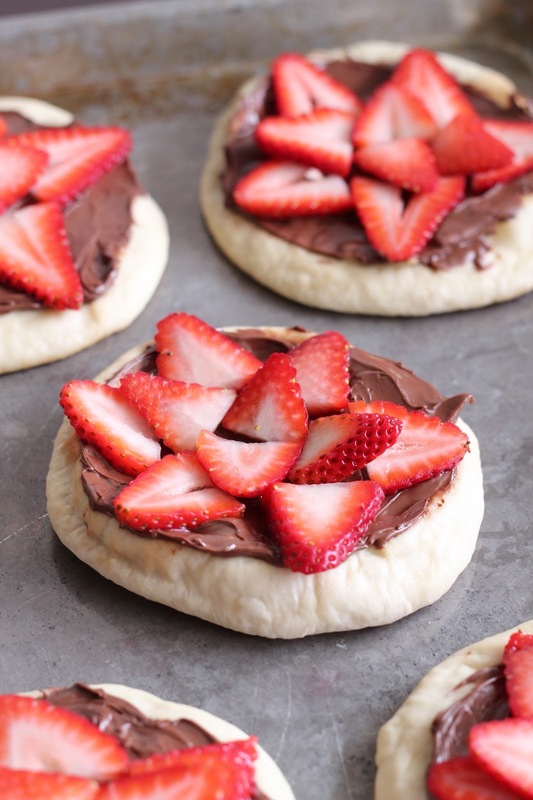 Top each with an outer layer of sliced strawberries. Then, repeat with another layer of sliced strawberries in the center. Prepare icing by combining powdered sugar, vanilla and milk. 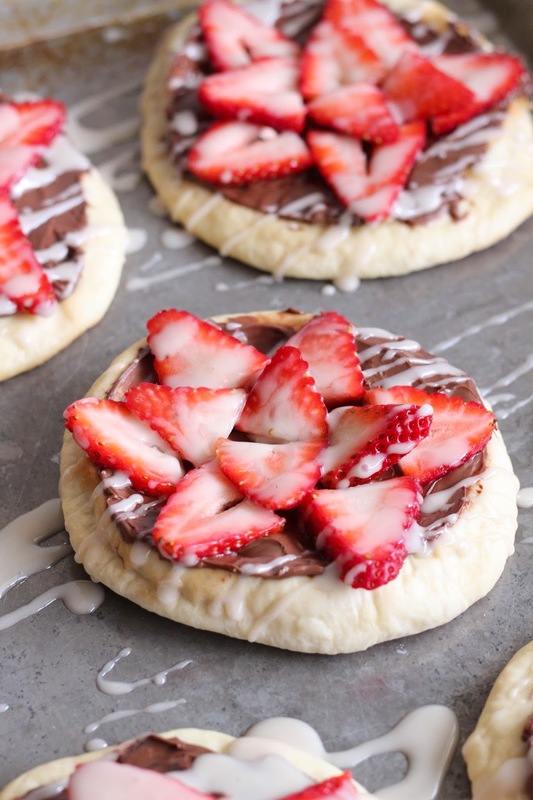 Drizzle vanilla icing over pizzas. Slice and serve. I'm sharing this delicious recipe over at Rhodes Blog today. Click HERE to get this awesome RECIPE. This post was sponsored by Rhodes Bread. All opinions are my own and I have always been a fan of Rhodes Rolls. Thanks for allowing me to work with the brands that I love. I love the flavor combination of these! Such a great combo! Thanks. This strawberry looks beautiful; I would love a piece right now. I’m definitely going to give this ago as I love the flavor combination. I love this flavor combo. Thanks!